1. First of all, it’s very rude that we’ll never experience the pure sugar taste of Trix yogurt ever again. 2. And while Trix cereal still exists in tiny balls, we will all continue to mourn the loss of the shapes — which somehow made it taste much sweeter. 3. Never again will we have Fun Feast frozen meals, or the brownie that bubbled over when it cooked and somehow always had the consistency of a sponge. 4. And RIP to the tangy, lime-flavored Skittle, which is 100 times better than the new green apple flavor. 5. The syrup-y, sweet nectar of these wax candy bottles are a rare thing to find nowadays and it truly breaks my heart. 6. And the classic sugar cookie taste of these Happy Meal cookies will never again touch your taste buds. 7. 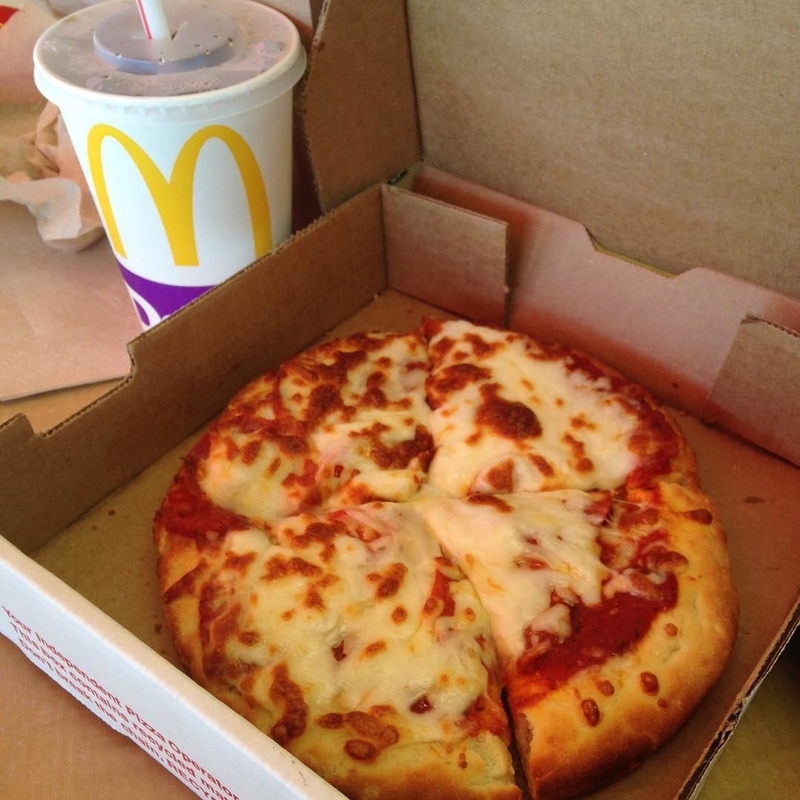 While we’re at it, you’ll also never again order a fluffy, cheesy personal pizza from McDonald’s because nothing good can last. 8. EZ Squirt colors once graced the shelves of grocery stores — but we cannot indulge in this weird ketchup product any longer. 9. And you truly missed out if you don’t remember the cherry sugar water that was Squeezit. 10. Remember the times when we had that powder that turned into gum in your mouth? 11. Or the times our taste buds were greeted with puffed out Doritos that were delightfully crunchy and cheesy. 12. There once was a time where toothpaste sparkled and came out in the shape of a star, and somehow the minty freshness just tasted much, MUCH sweeter. 13. And I bet you remember exactly how that sugary oozy goo felt when it hit your tongue. 14. Tan M&M’s were a thing for a while and somehow they made all M&M’s taste different. It’s science. 15. And remember the lumpy, bumpy texture of those cinnamon-y appy Cheerios? 16. Or the sweet and syrupy taste of Eggo cereal that ACTUALLY tasted like a waffle? 17. And finally, nothing can beat the sweet and creamy Strawberry Quik that tasted so much better because you could scoop your heart out from that metal tin.